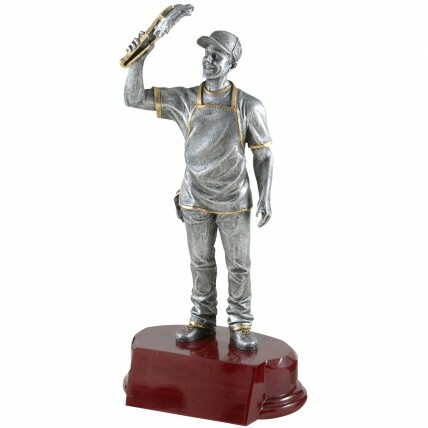 The BBQ Cookoff Chef Trophy is a must have for your next BBQ cook off competition! This magician at the grill sits atop a rosewood colored base and is proudly holding up his rack of perfect ribs. This cooking trophy is available in two sizes and comes with engraving on a black aluminum plate. Your favorite chef will love this ultimate BBQ award!